Mount Errigal is the highest mountain in Donegal at 751 metres and it dominates Donegal with its glimmering crest of quartzite. For many, it is quite simply the most beautiful mountain in the country and it is certainly among the most climbed despite its remote location. Errigal has a mysterious quality: appearing to change shape depending on what direction you view it from. 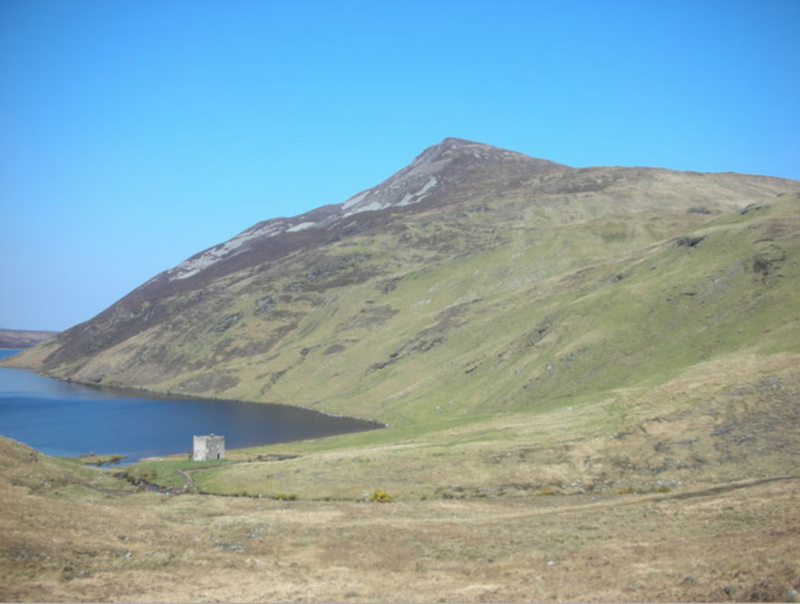 After the climb and lunch you will head off to part two of your Donegal Hike. You will walk back to the Atlan Tower, situated at the edge of Lough Atlan and only accessible by foot. This is a small castle-type dwelling. The true inspiration for this structure is unclear, however it is steeped in folklore with extraordinary tales of sheep wars, misfortune and woe. Your walk to this abandoned rural citadel will take you back in time to an era of an Irish Shangri-la, albeit without intense conflict involving life and death struggles for survival. Altan Tower can only be accessed via a one hour hike through some very wet bogland, as there are no roads or paths. A guide is essential. This tour may not be suitable for children under the age of 8. Participation for younger children is up to the discretion of the parents.